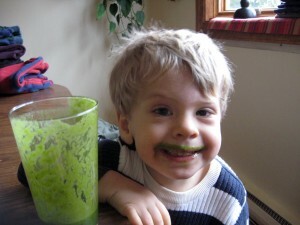 Vitamix Aspire - Canada compact Vitamix Review - Got Greens? Whenever a new Vitamix package is advertised we tend to be the first place shoppers look for answers and advice. With The Shopping Channel in Canada promoting the Vitamix Aspire we have been receiving a lot of questions about it. This quick review attempts to answer the most popular questions we have been receiving. The Vitamix Aspire is a recently developed model specific for the Canadian market through the Shopping Channel. As is always the case with Vitamix, this blender delivers exceptional power and value for completing all your healthy kitchen tasks. The blender itself is very similar to the Total Nutrition Center. The blending power and performance is the same but the container, package contents, and warranty differ. 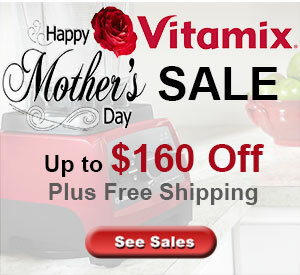 The most exciting thing about the Vitamix Aspire is that it is the first package offered to include the Vitamix 48 oz. compact container for Canadian customers. 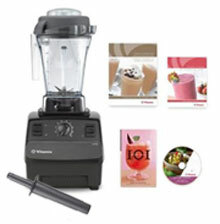 As with every Vitamix, a tamper as well as Manual with Getting Started Guide and DVD comes in the box. The unique bonuses included is the new bilingual Recipes to Inspire cookbook in both English and Canadian French and, depending upon the package, the Art of Blending, or Whole Grains book. The difference between the Total Nutrition Center (TNC) and the Vitamix Aspire is price and warranty. While every TNC comes with a 7-year full use warranty, the Vitamix Aspire has only a 5-year full use warranty. This is common among special models created for specific stores and offered at a discount. Without a doubt, purchasing a Vitamix Aspire is a great decision. While The Showstopper package can vary, you do have a choice of colors and containers depending upon the Aspire package you choose. 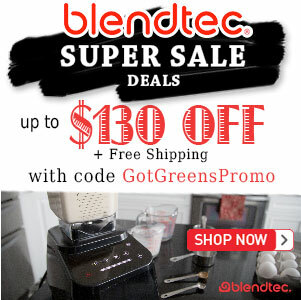 Which Vitamix do you choose?